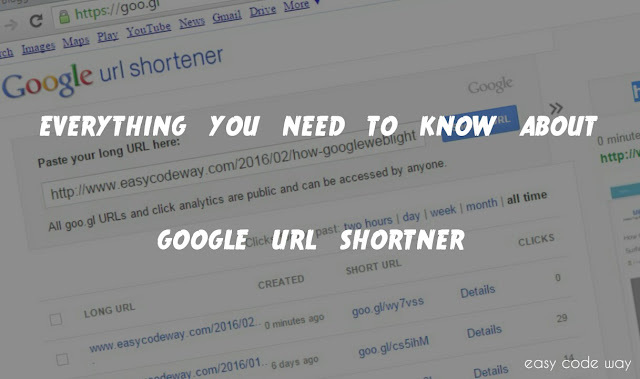 Why You Need to Shorten Your URL's ? Of course, this will decrease the length of your link and it will be then more easy to read, remember and share it. Shorten URL will prevent your original site from penalties. For example, if you'll continue to share your web pages on Facebook then it maybe treated as spam and next time you've to pass the security check to post it. To overcome this problem, shorten URL can be used to make your original content safe. Last but not least, this will help you to share your web-pages on twitter. As we all know that twitter only allow 140 characters per single tweet then it will be hard to share your long URL with description. In this situation, shorten link can be very helpful and it will hardly occupy 13-14 characters. So now you can also add the description side by side. Isn't that cool? Make sure that you're logged into your Google accounts. Otherwise click on "sign in" button from the top-right corner and login first. This step is optional but I highly recommend you to follow this. 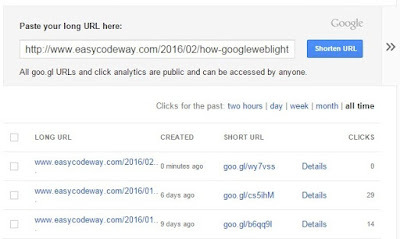 This will give you more control over your shorten links. However, if you don't want to login then you can also use this feature anonymously. Now write or paste the long URL you want to shrink and then click on "Shorten URL" button. 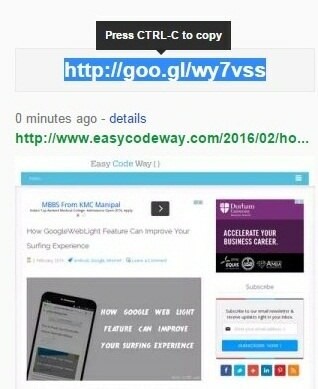 Finally copy the newly created short URL and use it anywhere. Wait! It's not the end of tutorial. Now have a look at the salient feature of this Google URL shortener. The most amazing part is the analytic report. You can check the performance of your short URL by adding ".info" at the end. Inside this, you'll find all the reports about the number of clicks, their geographical location, platform used, browser name etc., You can easily analyze this data with the help of graph, pie chart or earth map. Again, one thing to note here is that these analytic reports are publicly available to everyone i.e. anyone can check the data anonymously. Even if you've created it using your private Google account. Another thing which I love most is the link preview. Whenever you'll share the short URL on Facebook, Twitter or any other social networking site then a link preview will appear as it would appear for the original web page. This will contain a thumbnail image and a description. Can 2 shorten URL's be redirected to the same web-address? Of course! This condition is possible. 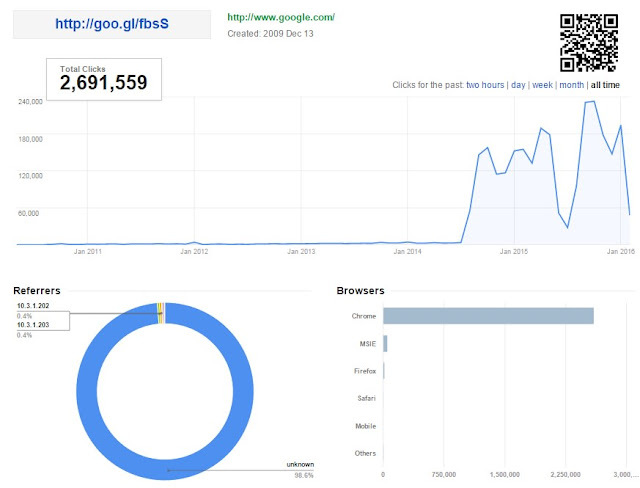 I experimented to shorten a URL by using Google account and another anonymously. I founded that both the links are different and yet they are redirected to the same place. Note: If you'll create a short link anonymously then it will be same for all users while those links which are created using Google account will be different each time. Will my shorten URL expire in future? Once created, your link will never expire in future. However, if it violates Google policies or if someone reported an abuse for the violation of privacy policies then it will be reviewed and after this, specialists will make their decision. Now I hope that you've complete knowledge about this topic. So that's all for today guys. Finally If you've any doubts, fell free to drop your view in below comment box.